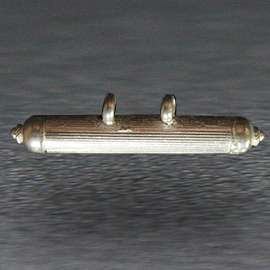 Silver Amulet to Hold Your Energized Raksha Plate - 4 Grams Note: This is ONLY the price of the Silver Amulet. Your Energized Raksha Plate will be delivered sealed inside the Amulet by our trained Energization team so that few people as possible have physical contact with your Sacred Object. You will receive a picture of the Plate. Note: This is ONLY the price of the Silver Amulet. Your Energized Raksha Plate will be delivered sealed inside the Amulet by our trained Energization team so that few people as possible have physical contact with your Sacred Object. You will receive a picture of the Plate.